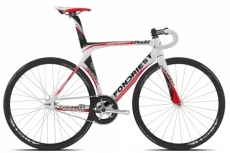 Fondriest joined the Esperia group in 2006 and contributed to the sharp change in the company's mentality taking place in Cicli Esperia. 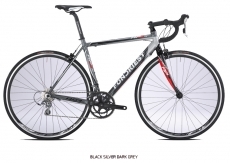 As a matter of fact, we are facing an important increase in the strategic sensibility linked to production and marketing of high- range bicycles. 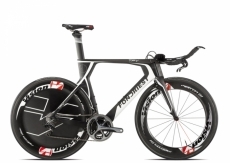 This allowed the company to concentrate a part of its resources in the development of high performance bicycles and frames, dedicated to the most demanding 2-wheel professionals and enthusiasts. Maurizio Fondriest was born in Cles (Trento) in the heart of the Val di Non on 15 January 1965. During his 12 seasons as a professional cyclist, he achieved 69 victories to his list of successes on the road. Today, he continues to be a great fan of this sport. Careful and meticulous about the technical aspect of bicycles, his focus on the seated position - in search of the “perfect” geometry - is incredible. Victorious at the World Championships at the young age of 23, he won the world cycling cup in ‘91 and ’93, the mythical Milano-San Remo in 1993, and collected countless successes during his career both in traditional championships as well as stages in the Giro d’Italia and the Tour de France.